Late one night, four Mice approached a house where humans had held a big feast earlier in the night. From three fields away the Mice had smelled the left-over food and drink still out on the feasting tables, and they knew the humans were in bed at this time of night. Reaching the house, the four little Mice climbed up some vines and reached an open window. Hungry for the left-over food, three of the Mice rushed through the window and ran for the tables. But one careful Mouse remained on the window sill looking back and forth, and all around the room. The careful Mouse felt a bit silly being left behind on the window sill while his friends rushed ahead, but he worried what else might be in the house besides left-over food and the sleeping humans. In the dim light of the room, the careful Mouse watched as three clever Cats pounced on his friends and gobbled them up. He had no time to warn them, and they were all gone with hardly a squeak. 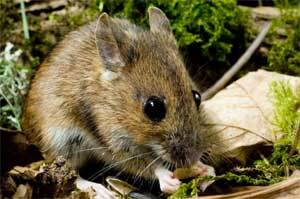 The careful Mouse crept quietly away, sad for his friends but glad for his caution.